Marx’s atheistic materialism emerged in the mid-nineteenth century, Darwin’s Descent of Man (not itself atheistic, but giving ammunition to the movement) was published in 1871, Nietzsche wrote his most important works on the death of God and morals in the 1880s, Freud discounted religion as a delusion in the early twentieth century, and logical positivism—which reduces all knowledge to statements about sense data—took off just after World War II. But in our twenty-first century “post-industrial” age, the most crucial component of reality is information—something that is decidedly non-material. The thinking machines (computers) that underlie this new age, while physical, are nothing without the organizing software that makes all of their activity possible. Most of the valuable goods Americans produce today are not even tangible—e.g., designs, algorithms, soft-copy documents, programs, plans, and spreadsheets. We cannot touch them. They are series of binary code that travel wirelessly through the air and are only discernible on electronic screens. There are billions of machines on the planet (computers) with non-material “ghosts” in them (software). Ryle ridiculed the idea of “ghosts in the machine” on the very cusp of the new information age in which “ghost-animated” machines would transform the world. Not only is information more fundamental than matter when it comes to computers, scientists are now finding that information is even at the root of physics and biology. DNA is an information code that precedes and determines the organization of the matter that makes up living bodies. Atheists claim that humans are mere material beings, but most of the cells of our bodies die and are entirely replaced many times during our lives. Atheists often say, “We don’t have a body; we are a body,” but if this were true, why do we remain the same while the matter of our bodies constantly changes? The information coded in our DNA, which determines the structure of our bodies, persists over time. Atheists might not ridicule the idea of a future resurrection if they realized that science itself has shown that this process already happens. The matter comes and goes while the information (the ordering, structuring pattern for the matter) remains. While it’s common today to use the term “information,” LDS scriptures (prophetic as always) have long called this property of reality “intelligence.”5 In every realm, ordering intelligence precedes and defines the matter that is ordered. A spiritual creation precedes a physical one (Moses 3:5) and order presupposes an “orderer”—a mind that comprehends and creates the order upon which material reality is based. The scriptures refer to both the information that inheres in reality and the mind that understands or creates it as “intelligence.” This is why we often speak of all matter having “intelligence” but also refer to God’s spirit children as having been created out of eternal “intelligences.” God, like the humans created in His image, is a creative force—one who can comprehend and create order/information. While information lies at the foundation of all reality, materialists, who claim the mantle of science, proceed as if science itself hadn’t overthrown their view many decades ago. Our post-industrial society is also a post-materialist society, but the New Atheists continue to cling to materialism with as much fervor as any religious fundamentalist clings to the Bible. The “New” religion found in the restored gospel describes our post-industrial age much better than does the “New” atheism. 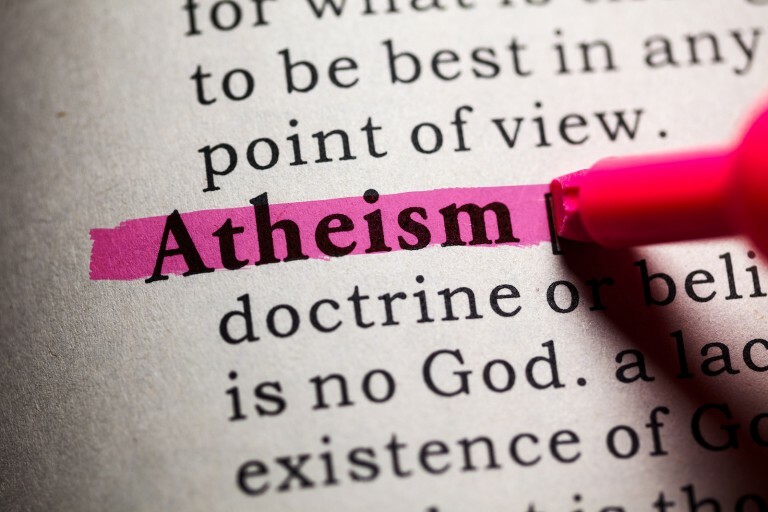 1 The term “New Atheist” reminds me of BYU philosophy professor Truman Madsen’s quip about postmodernism: “There is nothing post or modern about it.” Madsen, personal conversation with the author, August, 2004. 2 Gilbert Ryle, The Concept of Mind (Chicago: University of Chicago Press, 1949). 3 Philip Ball, “We Might Be Living in a Computer Program, But It Might Not Matter,” BBC Earth, September 5, 2016, available at https://www.bbc.com/earth/story/20160901-we-might-live-in-a-computer-program-but-it-may-not-matter, accessed Jan 31, 2016. 4 Stonier T., “Information As a Basic Property of the Universe,” Biosystems (1996), vol. 38, pp. 135-40. Thanks! This article is a big help that I can share with my friends who having doubts that God exist.